This and 86 other objects are a part of a set whose first object is Album, Oeuvres de François de Cuvilliés, Troisième Livre (Works by François de Cuvilliés, Third Book). This is a Bound print. It is dated 18th century and we acquired it in 1920. Its medium is engraving on paper. It is a part of the Drawings, Prints, and Graphic Design department. This object was catalogued by Julie Pastor. It is credited Purchased for the Museum by the Advisory Council. 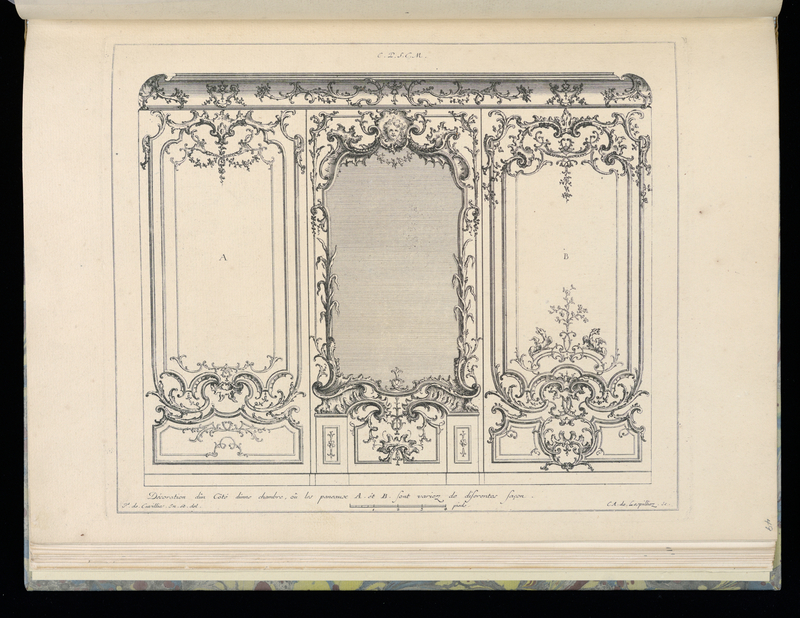 Printed in plate, lower left: F. de. Cuvillies. In. ét. del. ; lower right: C. A. de. Lespilliez. sc.